The traction pack is fully self contained. 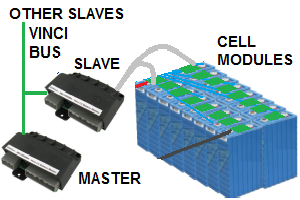 A 12-cell slave is mounted by each group of 12 cells and wired to the cells. A VinciLink goes from the master to the first slave; additional VinciLinks go from slave to slave. A VinciBus goes from the master to the application module. 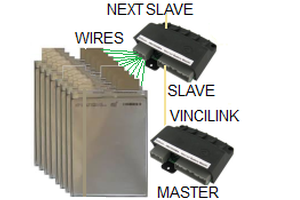 Split pack example: a 2-wire cable is run from the last slave in the first battery to the first slave of the second batery. 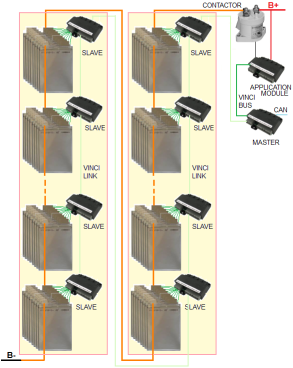 A VinciBus goes from the master to the application module and to each slave. 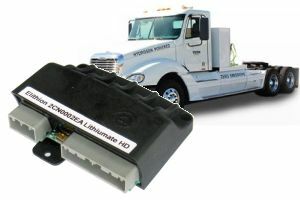 Split pack example: the VinciBus is run from the Master (outside the batteries) to the first battery, then to the second battery. Cables go from the ends of each block of 25 cells, to a slave. 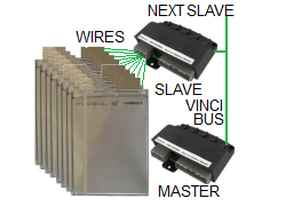 Split pack example: 2-wire cables are run from one slave (outside the batteries) to each battery. Slaves sense cell voltages through a number of tap wires. 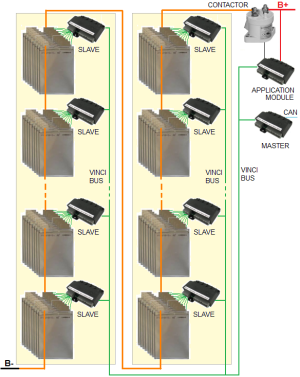 The BMS uses a Master/Slave topology, consisting of a number of modules; communication between slaves is through a 2-wire daisy chain; between the Master and the Application module is through a 5-wire bus. 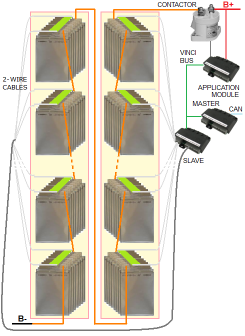 The BMS uses a Master/Slave topology, consisting of a number of modules; communication among all modules is through a 5-wire bus. 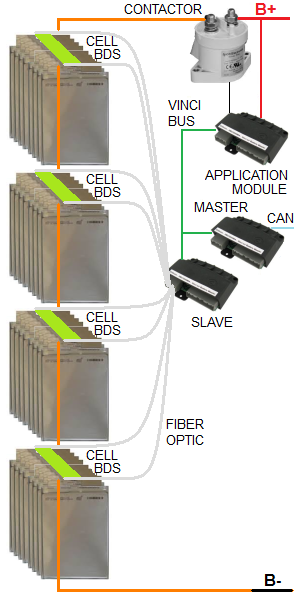 Cells are divided into banks of up to 25 cells; slaves are connected to a bank of cells through 2-wire cables. Two 2-wire cables go from the Slave to the two cell modules at the to ends of the bank.